Attorney David Bagus is a lifelong resident of Rhode Island who has been representing injured workers in Rhode Island and Massachusetts for the past 17 years. Attorney Bagus has the experience, knowledge and work ethic to handle your workers' compensation claim thoroughly, efficiently and with outstanding results. Attorney Bagus has been recognized by his peers as an exceptional workers' compensation attorney. 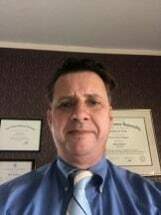 He receives referrals from attorneys, medical doctors and other professionals. Attorney Bagus handles each case personally and takes the time to listen to the client to educate them about their claim and to put them at ease. Attorney Bagus fights the insurance companies tenaciously to make sure his clients receive all they are entitled to. Attorney Bagus also represents individuals involved in personal injury cases including motor vehicle accidents, slip and fall incidences, social security disability, and unemployment claims. Attorney Bagus promises to fight for your rights and get you the monetary compensation you need for you and your family.